Kano has developed a way to plug together bits, boards, buttons and cables in a simple and fun way that encourages youngsters to play with technology. Have you ever heard of Kano? It is a computer that anyone, including those over 18, can build themselves. Founded by Alex Klein, Saul Kelin and Yonatan Raz-Friedman, Kano is a great product because it has been designed in a way that gives youngsters the opportunity to take control of the world around them. 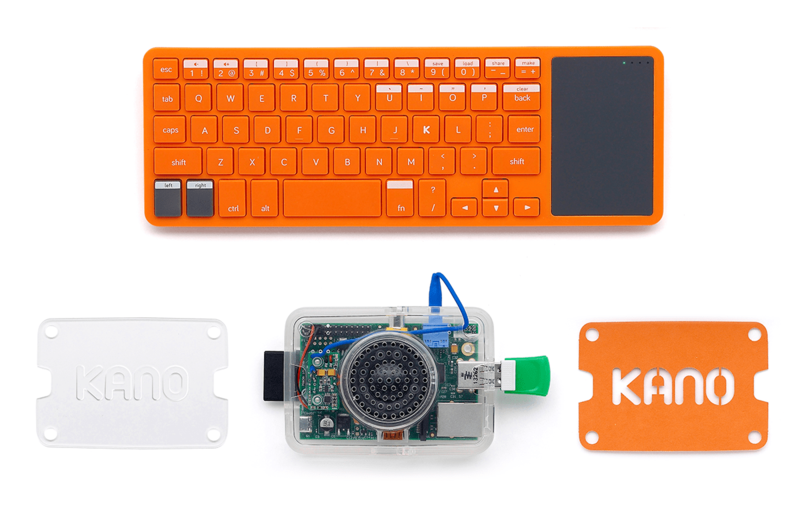 Powered by cutting-edge hardware and open-source software, Kano has had input from hundreds of young people, artists, engineers, and teachers. Fueling the passion for computer technology, Kano is all about plugging together bits, boards, buttons and cables, whilst exploring how they all work together. Focusing on simple steps, storytelling, and creative play, Kano is a bit like Lego. Step-by-step, the creative coding kits, which starts from £29.99, challenges users to go from beginner to master. Building your own computer means that you will no longer just consume technology you will be also able to create it through coding, hacking, building apps, data visuals, and animations. et a real computer, powered by Raspberry Pi 3 and Kano OS. You get all the apps and programs you need. Unlock your potential, and unleash creativity. HDMI, pixels, processors, and binary. Kano’s unique operating system cracks open the secrets of sealed screens and slick software, giving you the power to take control. Once put together, your real computer, powered by Raspberry Pi 3 and Kano OS, will give you access to the apps and programs you need. It will also unlock your potential and unleash your creativity in a way that will give you the power to take control. If you want your kids to give it a go then note that the Computer Kit includes a comprehensive set of parental controls to restrict aspects like internet browsing. The Computer Kit can also be enjoyed by everyone, beginners and experienced makers of all ages. Typically, they recommend a starting of beginners aged 6+, but thanks to the easy-to-use visual coding environment, children who can read/write might start earlier.